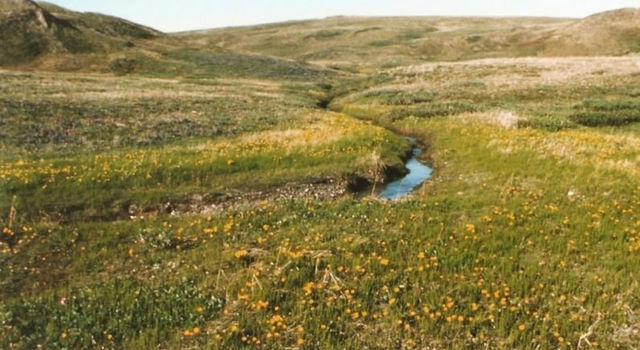 A new NASA-led study using data from the Arctic Boreal Vulnerability Experiment (ABoVE) shows that carbon in Alaska's North Slope tundra ecosystems spends about 13 percent less time locked in frozen soil than it did 40 years ago. In other words, the carbon cycle there is speeding up -- and is now at a pace more characteristic of a North American boreal forest than of the icy Arctic. 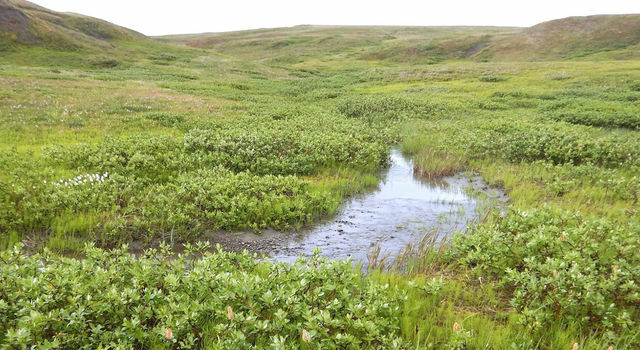 During Arctic summer, warmer temperatures thaw the uppermost layers of permafrost, allowing microbes to break down previously frozen organic matter.This process releases carbon dioxide into the atmosphere. Plant growth also increases during this period - and plants remove carbon dioxide from the atmosphere through photosynthesis. But as temperatures increase, the amount of time carbon is stored in the Arctic soil decreases.